A 911 call reveals that "The Shield" actor charged with killing his wife notified his father-in-law of the shooting moments after it happened. The three-minute call released Thursday by the Los Angeles Fire Department includes a statement by April Jace's father that actor Michael Jace said he shot his wife and asked his father-in-law to come and get the couple's two young children. "My son-in-law called me and texted me and said, 'Come get the kids' because he shot April, our daughter," the father-in-law said. The father-in-law said he was on the 405 Freeway on his way to the couple's house at the time of the call. He then provided contact information for the Jace residence. 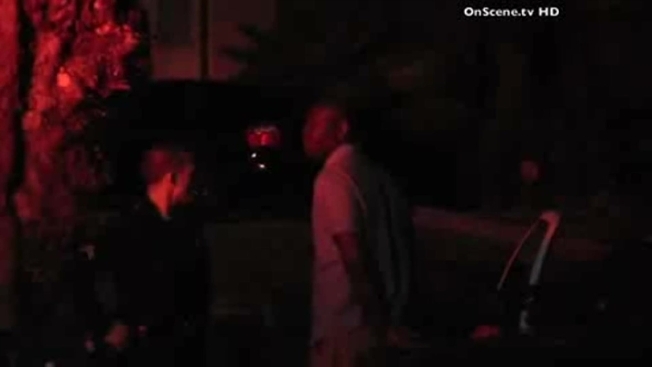 Michael Jace was arrested on May 19 and police say he called 911 to report that he had shot his wife. That call was not released. Michael Jace's attorneys Jason Sias and Jamon Hicks did not comment on the audio's contents but noted the case is still early and their investigation continues. Michael Jace is scheduled to be arraigned on June 18.